For so long I have wanted my own place to snuggle up with a good book. 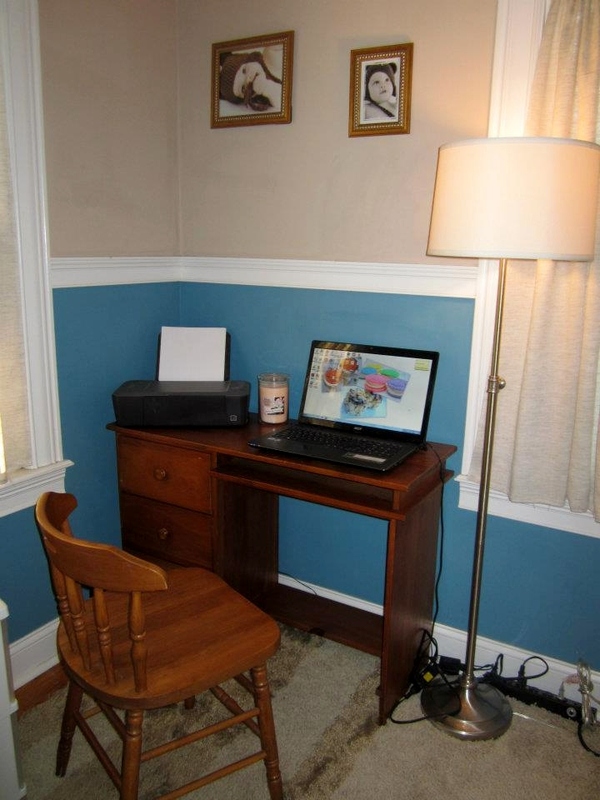 A little spot where I can sip a hot cup of coffee while I surf the web. I want it to be stylish, colorful and comfortable. I don't like things to be too fancy but I do like furniture that is quality made and that looks good. For a couple weeks I have been playing around with ideas in my head, mostly dreaming of how I would transform a room in my home with some new furniture. First thing I think of is color. I absolutely adore every single color of the rainbow, they are all my favorite. Not having a particular color in mind makes it hard to decide. I tend to like to check out inspiration photos on the web. La-Z-Boy Furniture Galleries online has some great room inspirations to look over both on their website and in their online catalog. 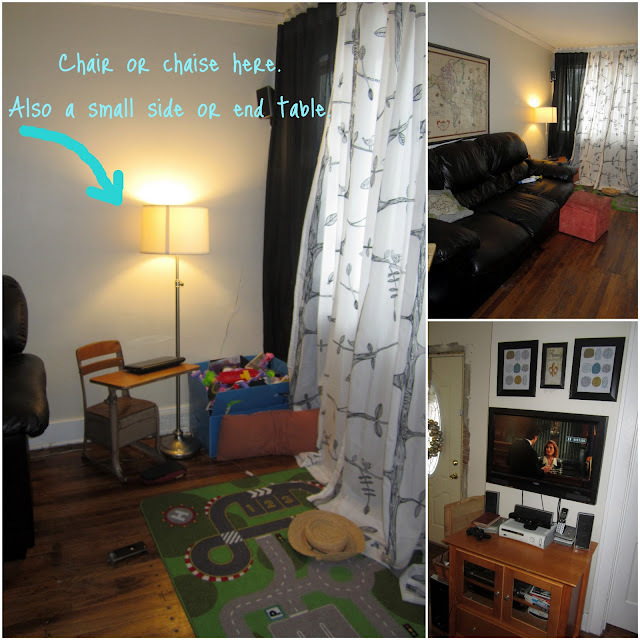 Seeing the furniture all laid out and styled really does help me visualize how it might look in my own home. I found a couple looks that I could see in my own home. The La-Z-Boy company has been around for 85 years and I just adore their style, quality and integrity. The best part is, almost everything they make is customizable. That means no more walking through endless furniture stores in search of the perfect fabric. La-Z-Boy has hundreds of color choices! The home we live in is very small and the rooms are tiny. Our home was built in 1920 and back then people obviously didn't own much so they had no need for big spaces. I looked around my breezeway and for a while thought it could make a great mom cave area. The only problem is that this room is not insulated and so it can be a tad on the freezing side in the winter. Oh and there is all that lovely wood paneling LOL. I'm still unsure about what we are going to do to it. I will probably end up painting it all a really light color, sometime in the future. We recently laid new pad and carpeting all by ourselves. The carpeting definitely helps make the room a tad bit more warm and inviting. The floor used to be covered in an awful black tile. So after thinking over the breezeway situation I decided to move on to my bedroom. It's a super small space and we have a queen size bed in there plus my desk. The desk is super tiny but it serves its purpose well. I love being able to sit there while I write a note or blog. I'll be honest though, it's not the most comfortable place to relax. My husband works nights and sleeps here all day. It's really not a feasible option for my mom cave location. I don't think that I could even fit one more stick of furniture in there unfortunately. The thought of our basement did cross my mind but I think the spiders would kick me out. Our basement is old and unfinished with low ceilings. Besides all that, my husband has already taken over the only available spot for his man cave. He plays video games down there and has the occasional beer from his mini fridge. I'll let him keep his space in the creepy bat cave basement! So lastly I have my family room available. This room is where I spend my nights after I put my children to bed. I usually am up for at least 2 hours after they fall asleep. My laptop always ends up on my lap or on the sofa's arm while I lean sideways. The sofa we have now is for the most part comfortable but it will very soon need to be replaced. I'm not particularly in love with any of my old furniture at the moment. In the corner of my family room is an empty space. This is where I just recently started keeping some small kids toys but really those should be in our kid's rooms and not out there. I can already picture a plush La-Z-Boy arm chair or luxurious chaise lounge right in the corner of my family room. I could relax there and peek out the window while I read a good book or use my laptop. I have a vision of something in a nice turquoise or aqua color. I am planning to repaint my family walls now that I have some new curtains that I love. I think I could go for a really light aqua color, it would compliment the new darker aqua colored seating and mesh well with everything else. I still need to get trim up around my front door! I think it has been missing for over 2 years now. I am also ordering a couple more of those white curtain panels that you see. I fell in love with the bird and branches pattern but in my rush to buy them I failed to see how wide the window was. Nature has always been a love of mine. I grew up in the country and will forever remain a country girl even if we do currently live on the outskirts of the city. I can envision a bright, cheery and colorful space with lots of natural touches. 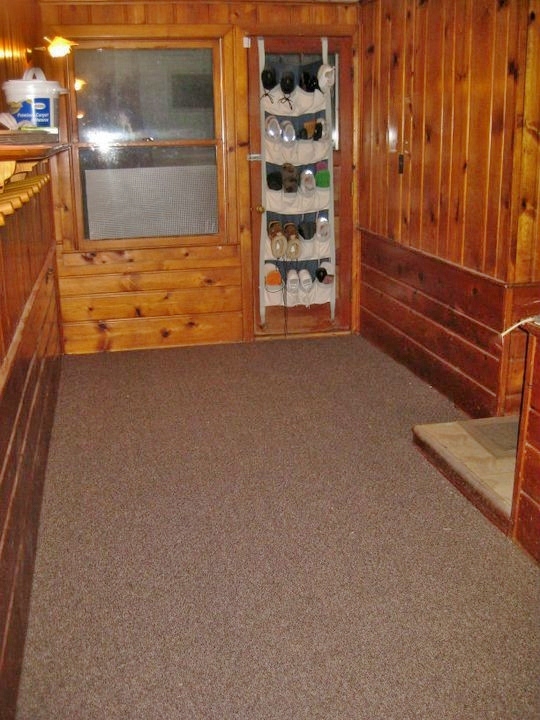 I'd love to place a soft rug on the cold floors, maybe something in a neutral color. I have so many ideas for my mommy space! I seriously dream about it at night when I go to sleep LOL. Would you like to win your own dream mom cave? Right now through February 11th 2013 you can join our Pinterest party! 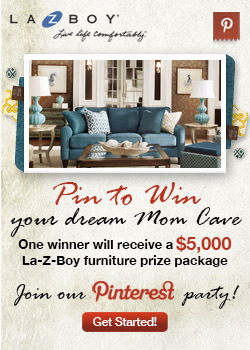 One winner will receive a $5,000 La-Z-Boy furniture package! Click the banner below for more details and good luck! You can come check out my Pinterest board for some pinspiration too.